Well, it only took 2 years, at this time in 2014 I wrote that 2014 was going to be the year when mobile responsive email just became email, became the common place, was what all the hip kids were doing. That finally happened in 2016, so the market was a little behind the curve but, boy, did email marketing catch up quickly! Responsive and Spongey coded emails abound, as do gif animation emails. Open the door and when you marketers come through it you do it with vision and a vengeance. So what will 2017 bring us? is it finally the year of video in email? Is it the year when automation crosses the chasm and is no longer the domain of the early adopters? 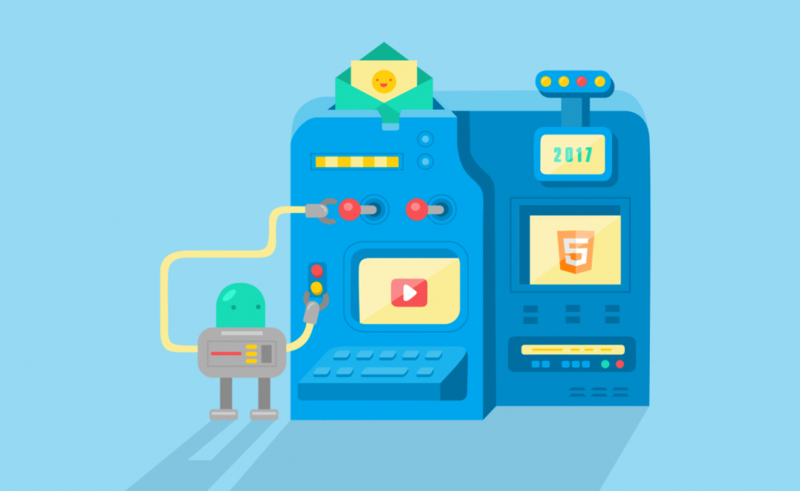 Is 2017 going to be the year of email interactivity? Is this the year when that B&Q email people still talk about becomes a reality for the mainstream – carousels, hamburger menu’s, offer countdowns/reveals, sliders and content accordions to name a few? In todays blog I am going to take a look at a few of the opportunities out there for marketers to take advantage of and try and predict how common place these will become in 2017. Let me start with one which has been around for what feels like forever but never quite gotten off the ground – video in email. The concept of sending your video content directly into my email client seems to have been around for a lifetime. Whilst companies like Wistia, CoVideo and Bombbomb have been around for 10 years or more, there are plenty of other players in the market. So it begs the question why do I not see video in my email client? Why isn’t every second marketing email I get full of moving pictures and sound which starts when I open the email? The reason, I think, is until recently and Apples launch of IOS 10 few browsers supported html 5 video in email, therefore creating email with video was pandering to the select few as it wasn’t supported everywhere including either Outlook or Gmail. As we know most emails are opened on devices rather than computers and most of those, around 40%, are on Apple devices. What this means is that, as long as you as a marketer have both the resource and the skills to embed email and use webkits for high class fallbacks, it is probably worth a go. Prediction: This year we will see a number of marketers trying this out in the UK. Let’s get it out there… interactive email is cool! To have an email that essentially mimics the landing page where possible but has brilliant webkit fall backs to the lowest common denominator (Outlook you know who you are!) is just cool. It is also something that has been around since some of the better browsers allowed coders to exploit the html 5 canvas. What are the possibilities here? Hamburger menus, content accordions, carousels, hovers, sliders and offer countdowns/reveals and basket updates to name a few. All of these make email cool but some of them, in my opinion, actually detract from the point of the email. If we take Hamburger menus and content accordions for example, both mimic a landing page and provide more content right there in the email and, as a result, both actually stop the need for me as a user to click through to the site and actually do the thing you want me to do. Other techniques take such a detailed and skilled level of planning and coding that they are beyond the practicality of many marketers. In a world where the pressure is on to get your message out do you have time to plan, design, code, test and resource thousands of lines of hand written code, ensuring brilliant webkit fall backs that are required for carousels, hovers and sliders? Is there enough payback in the engagement to warrant the spend and is it a risk worth taking? The general consensus has so far been no. B&Q did this brilliant email a couple of years ago, still the coolest example I’ve seen. However, it contains 16,000 lines of hand written code and do you know what? They’ve never gone this far again! Then there are the more practical elements; stuff that is php server side and pretty simple to build and replicate time and time again. Things like offer countdowns/reveals and basket update, generally just using the link string, emails. These interactive tricks in the email marketers toolbox are actually designed to increase sales rather than be cool and are usually easier to plan, design, code and test. They also tend to give real ROI. Prediction: Marketers will adopt the tools which do drive revenues and talk about how cool the elements are that don’t but they wont implement them. Most enterprise email marketing tools allow you to do this simply and effectively. Our own email automation platform uses drag and drop workflows to simply implement effective automated email marketing campaigns. Prediction: EVERYONE will be doing it.